These perfectly poised penguins are parading around as Santa! They can't fly, but are happy to masquerade around in their black and white tuxedos delivering presents to all. 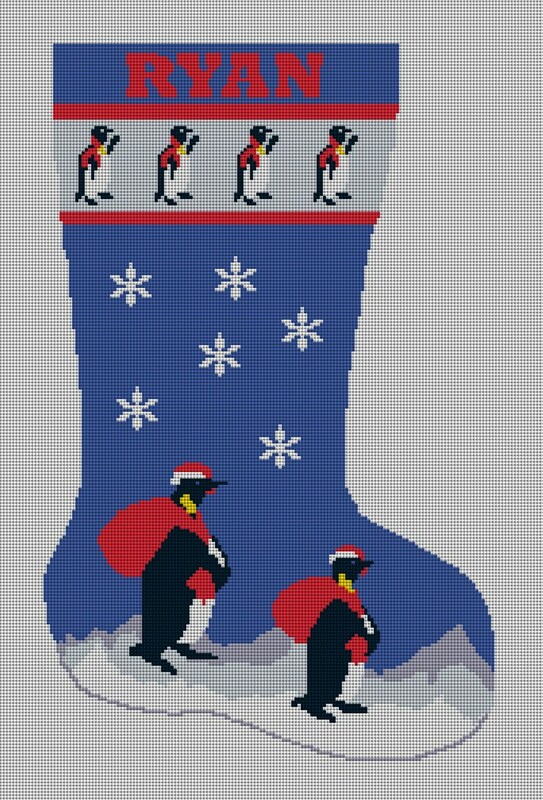 Stitch this playful needlepoint stocking canvas and create a family keepsake to adorn your mantle. Fun for young and old!